Just a quick post today to share a card I made yesterday. I am using up bits and pieces that I have, and the butterfly embossed background is one that was lying around waiting to be used. I hope you are having a crafty day. 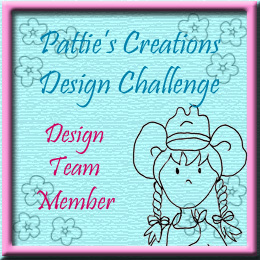 And in some extra exciting news, I am now a Design Team member for the wonderful digital designer Pattie Gomez from Pattie’s Creations. Such a huge honor to be chosen as part of her team. 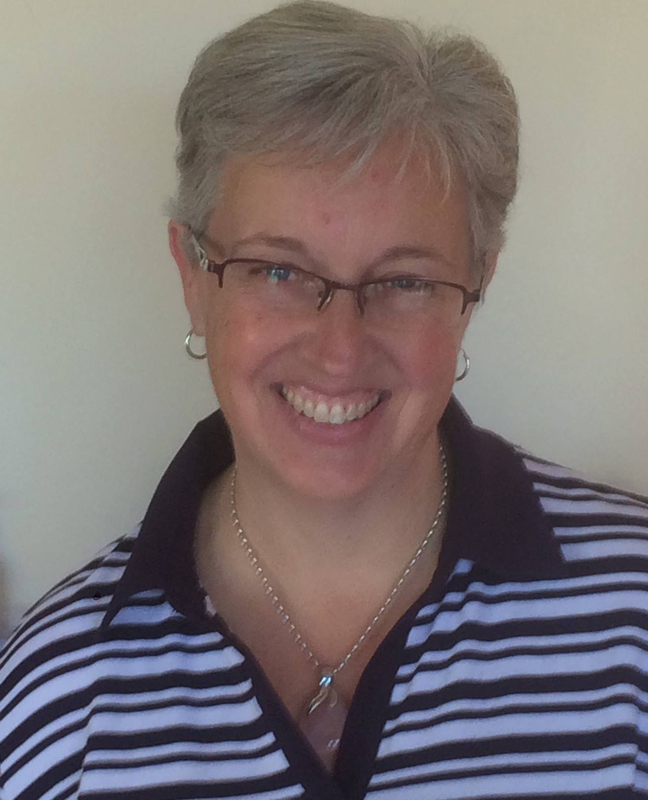 Thank you, Pattie! I printed the image onto white cardstock and then fussy cut around the edge and cut out all the little pieces so that the background would show through. 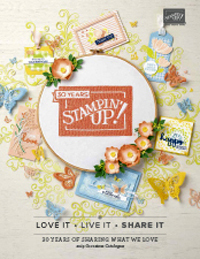 The image has been coloured with Copic markers and stamped using the Be The Star stamp set from Stampin’ Up! The background was created by sponging some Pool Party ink around a cardboard mask cut from one the Word Bubbles Dies (now retired), and a layer of patterned paper from my stash for the water. And the sand is a thin layer of cork. I hope you will join us this month at Pattie’s Creations. 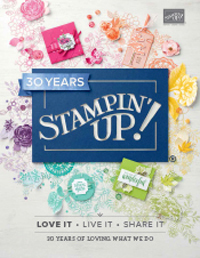 When the Spiral Flower Die came out in the latest Annual Stampin’ Up! catalogue, it was one of the things right near the top of my list of “must haves”! I have to admit, however, that it hasn’t had as much of a work out as it should have, until now. I thought I would make up for it! Continuing on with the current Crafty Boots Challenge theme of “Anything But A Card”, I have created a centrepiece using rather a lot of Spiral Flower Die roses! 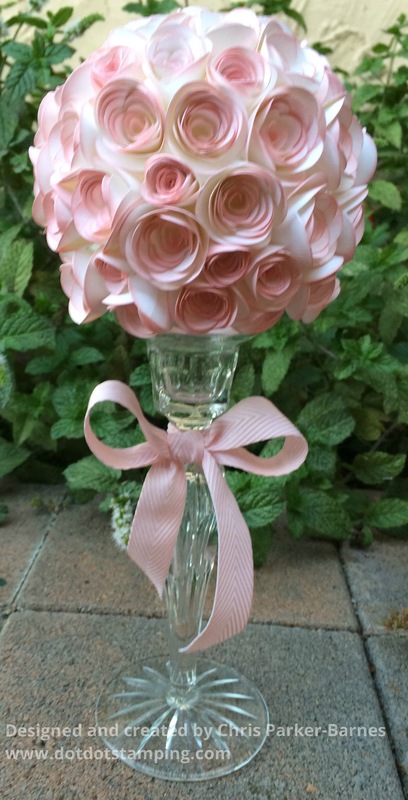 This could be used as a table centrepiece or a decorative piece in the home, or alternatively would be lovely for a wedding or special occasion. Make sure you head on over to the Crafty Boots Challenge website to see all the rest of the inspiration for this challenge from the rest of the Design Team. I finally got some time over the last couple of days to do some stamping, we have so much going on at present that finding the time to stamp has not been easy. I wanted to do something a little different with the the Wildflower Meadow embossing folder, and here is what I came up with. Lots of sponging on this one, however I like the vintage look. The colours I have used are Blushing Bride, Pistachio Pudding and Baked Brown Sugar. 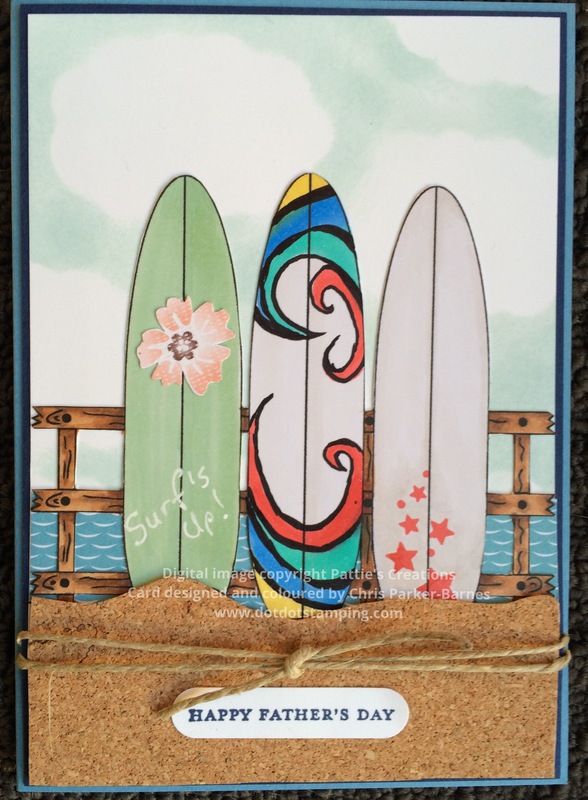 The butterflies are from the Papillon Potpourri stamp set and the greeting from the hostess set Banner Greetings. Promise to be back soon with some more of my creations. 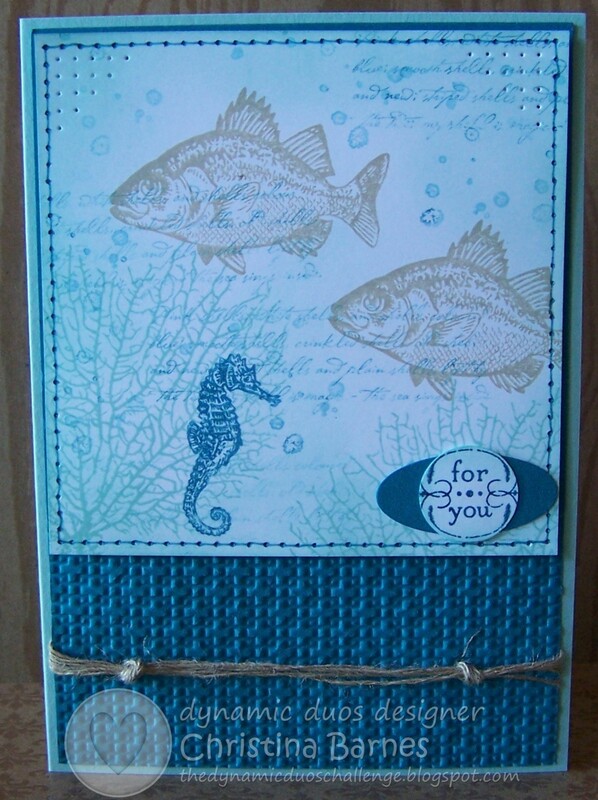 The colour reminds of a beautiful clear ocean, so I made my card using the new By The Tide stamp set. You can see what the rest of the Design Team have done with these colours here. 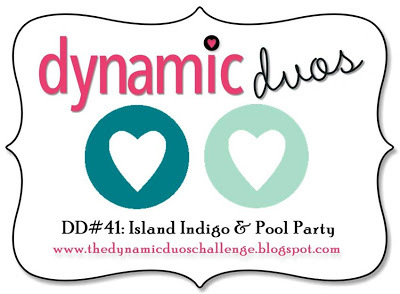 Please join us and share your wonderful creations. This week at Our Creative Corner, Meihsia has challenged us to create a circle card or project with a Fall (Autumn) theme – Autumn colours or objects. I really like this challenge, even though it is Spring here in Australia, I love Autumn colours and the leaves falling from the trees. And I rarely make circle cards, so it was good to do something a little different again. I have used the Scallop Circle Die to make the card base in Whisper White, then done a reverse mask to colour the centre area. 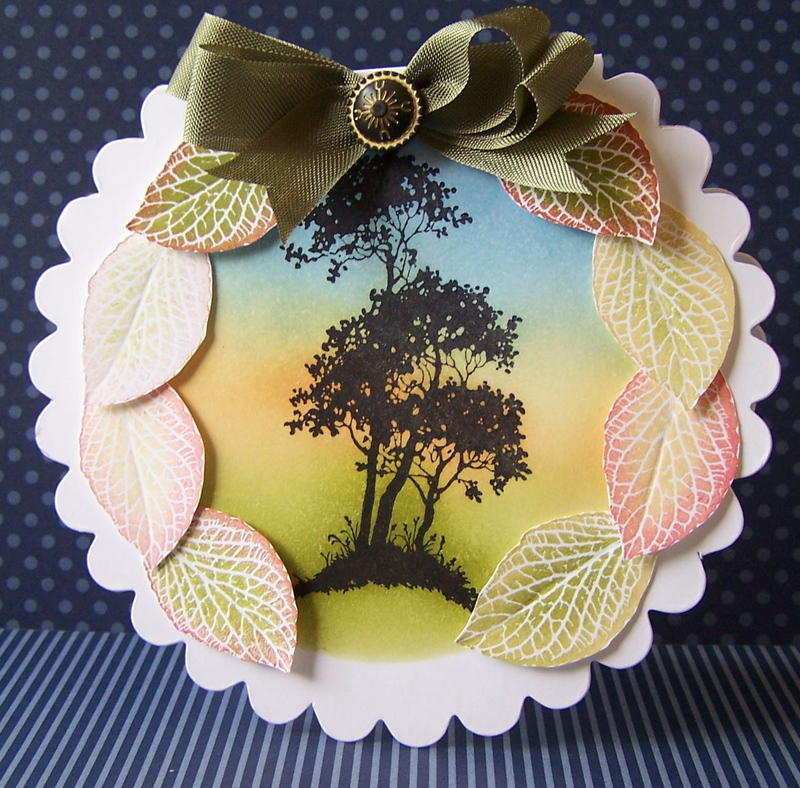 The tree is from Serene Silhouettes stamp set and is stamped in Black Stazon ink. The Stazon ink allowed me to sponge the background colours over the top, without the black ink smudging and blending in with the colours. The bow is made with Always Artichoke Seam Binding ribbon which is held together with a Vintage Brad, and the leaves around the edge are from the French Foliage stamp set. I have inked the leaves in one colour (i.e. Old Olive), and then sponged around the edge using a different colour (Riding Hood Red) using a sponge dauber. I do hope you will join in with this great challenge, we love seeing the projects you have made using our challenges. And make sure you check out what the rest of the Design Team have come up with.